Wow, you're making me homesick all over again. I just got over it after coming back to work a film project last summer but now I'm feeling those old feelings again. Oh well, I get another Minneapolis fix this summer when I return to finish the film. Hey, do you know anything about Orr guitars? Jeffery - I suppose I could really make you homesick if I started posting about all of the Mpls. haunts. Don't know anything about Orr guitars other than the boys in my high school class used to rave. It that who your film is about? 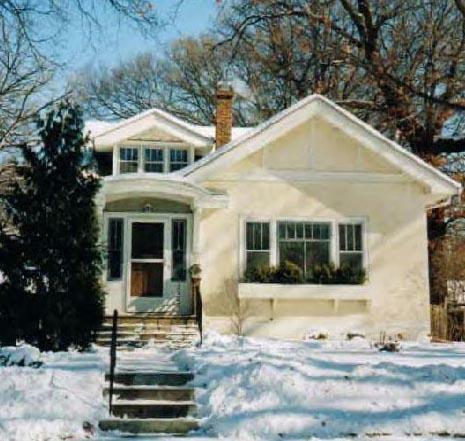 I'm new to Mpls, but just bought a great little house in Longfellow. I'm about to purchase a 1952 Kalamazoo Stove Co. gas stove, but I don't know where to get parts for vintage stuff like this...any directions locally? This is a great blog, by the way, thanks! Ty - I'm not aware of any place locally that deals with vintage stoves (parts or service). That said, you might hit the "vintage stove" label on the left sidebar of this blog and it will pull up all of my stove posts...if you check out the comments, you will find a bunch of resources listed there. I'll eventually move them over to my new Tappan Talk page, but for now you'll have to do a bit of hunting. Best of luck in your new house...and with your new stove! Jim and I were able to spend a week tearing out old carpet, cleaning, stripping, painting, before we moved into our 1908 Stuccolow. Anonymous - I think you are going to have trouble finding someone that will repair an octopus furnace. I can still find places familiar enough with gravity to certify mine is working, but I think repairing them will be a whole different challenge. Most places will tell you on the phone if they have someone that will check out gravity furnaces, or not.